Hee Jung Kim is a dentist and cosmetic dentist serving the community of Fort Worth, TX. Dr. Kim attended Case Western Reserve University, where she received her dental degree. Dr. Kim is a part of Jefferson Dental Clinics. She is a member of the American Dental Association and the American Student Dental Association. 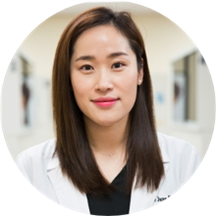 She speaks Korean and English, which makes her accessible to patients from a variety of cultural backgrounds. Dr. Kim believes in listening to each patient and creating a partnership to maintain and improve lifelong health. During her consultations, she explains patients’ conditions and helps them choose an appropriate treatment plan.